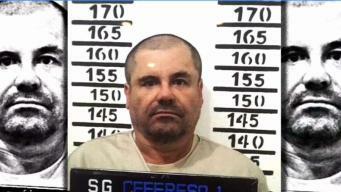 Defense attorneys say the Mexican drug lord known as El Chapo should get a new trial because jurors improperly followed media coverage of the sensational drug conspiracy case. 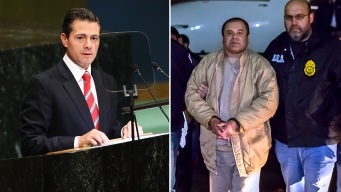 Text messages sent by alleged Mexican drug lord known as El Chapo about narrowly avoiding capture in 2012 have become the latest damaging evidence at his U.S. trial. A former Mexican drug trafficker who once claimed he was a double agent for the Drug Enforcement Administration took center stage on Thursday against alleged infamous kingpin Joaquin "El Chapo" Guzman at a U.S.
A government witness testifying at the U.S. trial of the alleged Mexican drug lord known as "El Chapo" claims his cartel paid massive bribes to a top law enforcement official.